All You Ever Needed To Know About Getting The Most Out of Your RV Battery! The battery in your RV and car should last at least 3 to 5 years… But many are finding that they need to replace theirs as often as every 1 to 2 years. 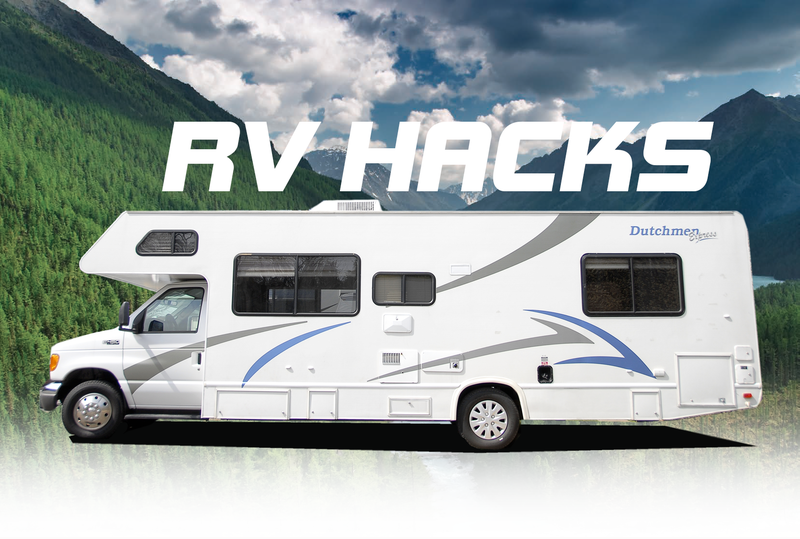 And what can you do to prolong your RV’s battery life? We’ll explain why car and RV batteries die early… and how you can prevent this from happening. 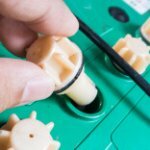 8 simple tips and tricks to maximize the lifespan of your RV’s 12 volt battery. The tips you’ll learn below are simple to do… and anybody can do it (even if you know nothing about cars, RVs or batteries!). You should be aware that every battery has a limit to its lifespan. Even if you take care of your car battery perfectly… it will still die one day. This is known as the battery’s “Calendar Life” and it’s entirely independent of how many times the battery has been charged or discharged. Once a battery reaches the end of its “Calendar Life” it will become unusable. Instead, they conk out early because of poor care and maintenance… which is easily avoidable if you know how. They have three life phases – formatting, peak, and decline. Formatting: when the battery is new and needs to be used gently. Peak: the ideal performance phase, which we want to maintain for as long as possible. Decline: a slow process, but one that eventually ends in the termination of the battery. 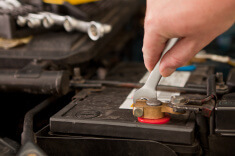 Around this time, you can either learn how to recondition the battery or keep a close eye on it and try to replace it before a problem arises (like being unable to start your car for work). 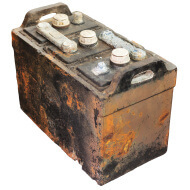 One of the first problems that arises with vehicle batteries is the build-up of corrosion around the terminals. This corrosion destroys the connection between the battery and the vehicle; many batteries need to be replaced due to too much of this corrosive build up. However, this can easily be resolved by simply pouring a small amount of Cola or a DIY anti-corrosion paste (one-part water to three-parts baking soda) over the corroded areas. The acid in the Cola or the alkalinity of the DIY anti-corrosion paste just eats the corrosion away. Once done, use a clean damp rag or sponge to clean up the remaining residue and moisture. Let it dry, then rub some petroleum jelly on the terminals to prevent future corrosion. *note: see our safety tips later in this article before disconnecting/re-connecting your battery. When the vehicle is running, the alternator generates electricity and charges the battery. But if you use the radio / lights etc, without the vehicle on you’re just relying on the battery to power those electronics. RV & car batteries are designed to provide a sudden burst of power for ignition; they’re just not made to give prolonged power for electronics and other devices. Used in this way, you’ll greatly shorten the lifespan of the battery. 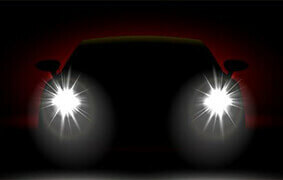 So avoid operating any car accessories or electronics while the car is off! The battery has to be secured at all times. If it’s jostling around it will be impaired and could short circuit. 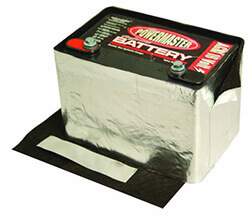 This will ruin the battery – and may even cause damage to your car while creating a safety risk. Protecting your battery from large variations in temperature will help maximize the battery’s lifespan. To do this you can use a car battery insulation kit. Newer model cars should already have these kits installed, but if your car doesn’t have one, you can easily install one yourself. Just make sure it fits your car’s battery compartment. Generally companies selling these insulation kits will have a form on their website where you can put in your vehicle model and year, and it will tell you which kit is required for your battery. These protective sleeves are usually made of plastic or an acid resistant, thermal resistant material, and will insulate your battery and protect it while still allowing proper ventilation. 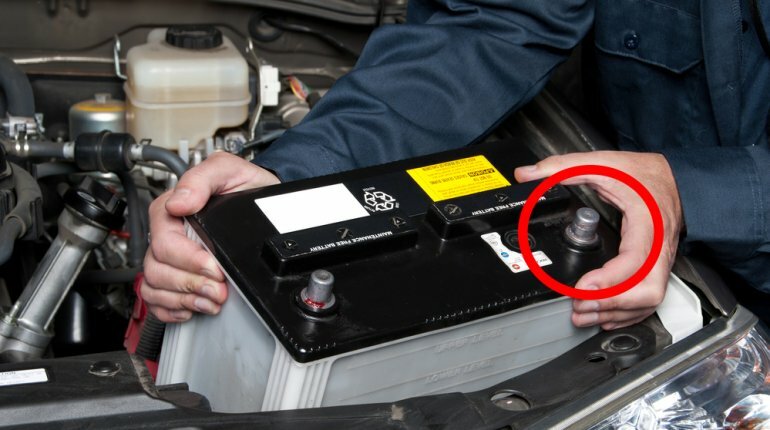 Your RV or car battery drains even when the vehicle is off, due to current being drawn from the battery by car accessories (radio, lights, etc.) or in-car computers. This is why people come home from long vacations and find their car battery dead. To prevent this, you can use either a car battery charger or a solar battery charger. These maintain the optimum charge level of your battery when the vehicle is not in use; they provide enough power for the the on-board accessories and computer, so they don’t continuously draw current from the car battery when the car is off. These chargers are extremely useful for those who go on a trip or leave their car unused for a while… and especially for RV owners who go long periods between trips. They’re also handy if you go on a lot of short car trips (like to work and back each day) and never give your battery a chance to fully recharge. Repeatedly doing this will dramatically shorten your battery’s life – unless you use a charger or are happy to interchange batteries (leaving one at home to fully charge). The most important thing to remember is to make sure you fully charge your vehicle battery at least once a week because it will greatly increase the life of your battery. Do this with a charger, interchanging batteries …or just going on a car ride long enough to recharge the battery. Most car batteries indicate if there is a need for water, so check the car battery water level indicator regularly and if water is needed, refill the battery with distilled water (and that’s important, ONLY use distilled water to refill your car battery). It breaks down the composition of the water in the battery – which shortens its lifespan. 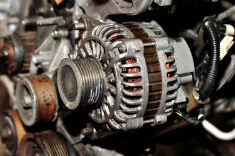 If your alternator is faulty it will result in ineffective recharging of your battery and dramatically shorten your battery’s lifespan. If your vehicle battery dies or is in the decline phase all hope is not lost! In fact it’s not vehicle batteries…. Our dependence on batteries has sky-rocketed over recent years with the exponential growth of electronics, so it’s no surprise that in the background people are working on methods to both cut the costs and the environmental impact of battery use. Whether it’s the battery that needs replacing in your vehicle, your laptop, cell phone or the AA’s that power nearly every torch, remote and gadget it’s now estimated that the average person will spend $15,000 in a lifetime on batteries alone! But – now there’s another way! 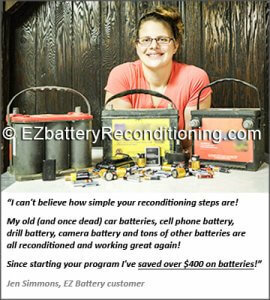 American Tom Ericson recently released a revolutionary Battery Reconditioning program which teaches people how to recondition all types of old batteries and bring them back to 100% of their original working condition. And you can learn to do it RIGHT NOW! It’s simple and quick… and he has methods for virtually any type of battery. It’s recently featured on CNN and Fox News, and around 20,000 people are already reaping the benefits. The course is made up of step-by-step guides that show you how to recondition each type of battery. And each guide is full of pictures and diagrams so you not only read exactly what to do… you see exactly what to do as well! Different methods cover different battery types, but we’ve yet to find a battery that this doesn’t work on and quite frankly astonished that this information still isn’t more mainstream. Must be a case of ‘only for those in the know’! Curious?? Don’t miss out on this before it’s gone….It’s time to act quickly and join the battery revolution! If done in the wrong order it may affect your car’s fuses and other electronics. Also, remove your car keys from the ignition before working on the battery. Some cars are more sensitive to this procedure than others – for example German marques (Mercedes Benz and BMW type cars) – so use extra caution. The above is an affiliated link and helps the RVHub.com stay free to use, as it is tracked to us. If you go through it, it can sometimes result in a payment or benefit to this site. The link will never negatively impact the product, nor does it affect the price of the product in any way. Our editorial line is not impacted by these links; we feature any available products that we think may be of interest to our readers whether or not the items are affiliated. 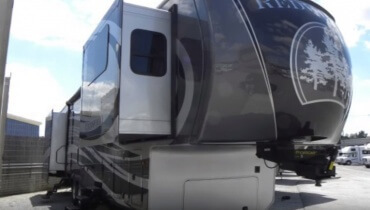 This 5th Wheel Is Better Than Your House!